Hi Everyone!! welcome to DAY 2 of the JANUARY PREVIEWS at The Greeting Farm. 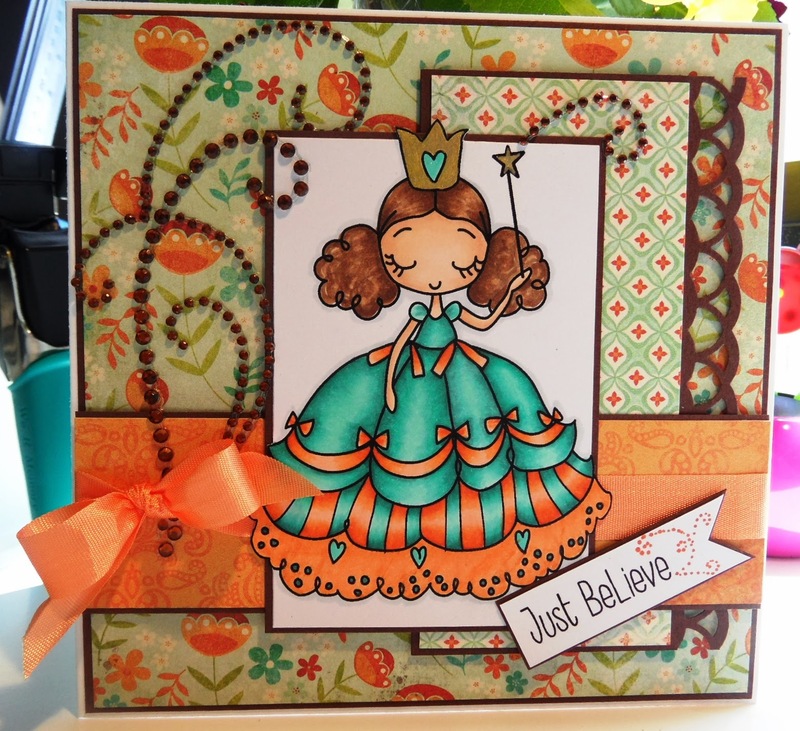 The new stamp we are featuring today is Frou Frou Believe. I coloured her with Copic Makers and teamed her up with some patterned paper by My Mind's Eye - Stella Rose 6 x 6 pad. I have had this pad for ages and finally pulled it out and loved the orange and aqua for inspiration. 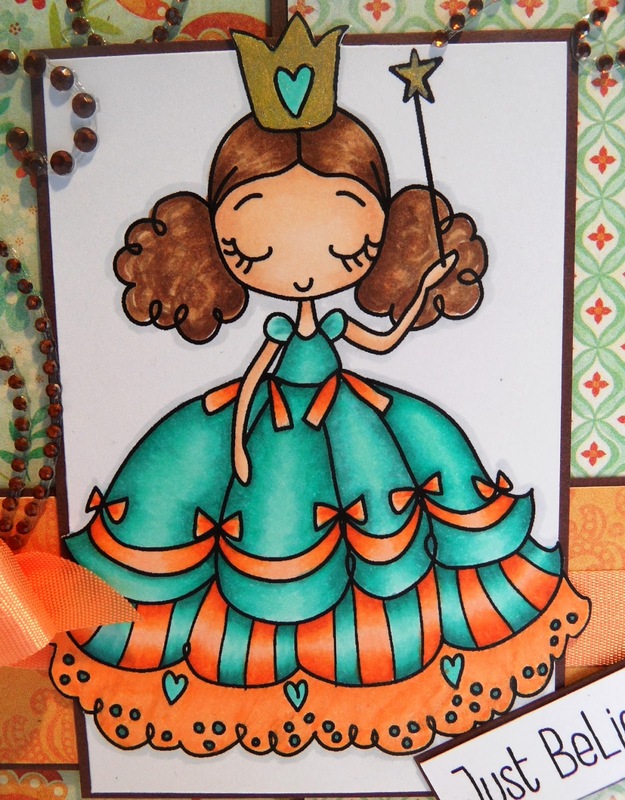 A close up of the image..
"Frou Frou Believe" will be released at The Greeting Farm store on 1 January 2014. Please check out The Greeting Farm Blog to see other design team projects. Each day, they will be giving away the preview stamp of that day so make sure to visit the TGF blog and leave comments today . This stamp set can be yours! Be sure to leave some blog love at each of the DTs posts for your chance to win. Other- patterned Paper - My Mind's Eye - Stella Rose, Zva Creative Crystal Bling, Martha Stewart Seam binding Ribbon. Hi Kristina, what a great Frou Frou card..I believe this will be another fantastic year at the farm..Great colour combo.. Beautifully coloured image and such a sweet card! Oh, love the orange and teal color combo. Gorgeous card, I believe her bright colors are just perfect. I just love this new frou frou....Nice job! 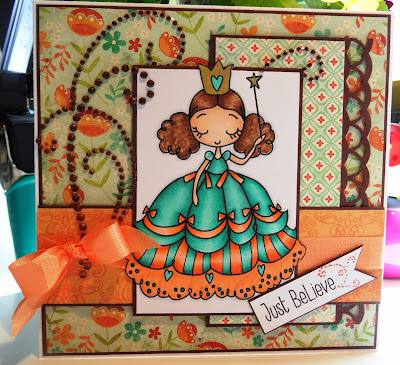 Very pretty color combo and card design. I'm loving the orange/teal color combo! Such a darling card. Great job.